Join us for the day, the weekend, the summer or the whole year! Volunteer applications are now open for the 2019 Fergus Scottish Festival and Highland Games. 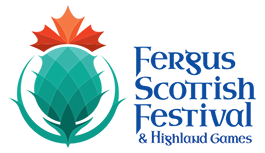 Thank you for your interest in contributing to another amazing year at the Fergus Scottish Festival and Highland Games! We are a volunteer driven festival and our volunteers share a passion for the Scottish culture and Highland games, a foundation that continually inspires the growth and engagement of a thriving volunteer community. Each year, as we grow, our team of volunteers gets bigger and better, and we couldn’t be more grateful. This year is going to knock your socks off! We will review applications when they are received and we will contact you directly when your application is processed. Every attempt will be made to find a volunteer position that will fit you. Please fill out the form below if you would like to Volunteer. What qualifications and skills do you have that will make an impact on our festival?